Hei! Isänpäivä lähestyy, tämäkin kortti on jollekin isälle menossa sunnuntaina. Tein sen Heinolan askartelutreffeillä Sannan luonnosta mukaillen. Hi, it's a week for men and on Sunday it's the Father's Day - and Movember time too! 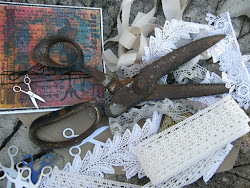 A great mix of elements, Mervi! Thanks for playing with us at the Simon Says Stamp Wednesday Challenge! This makes a great father's day card, Mervi! I think the paper with mustaches goes so well with this gentleman with mustache! 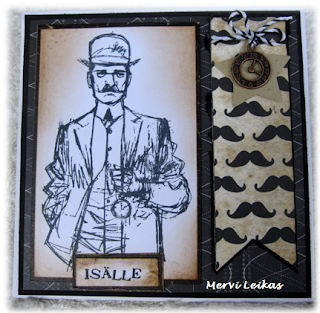 The layout and colors enhance the masculine feel of this card.